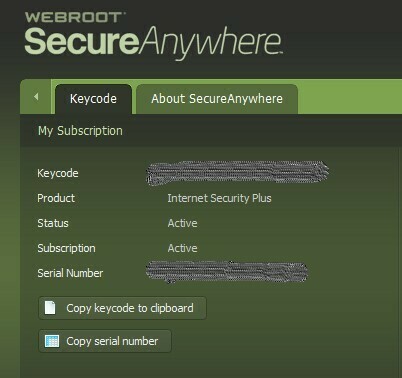 I just got a Webroot code from my friend. He said that, the code was from his office. 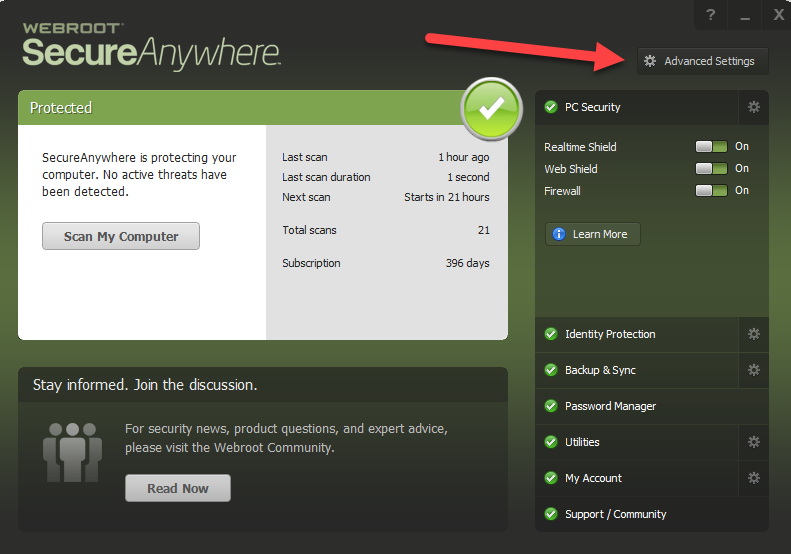 And I just install and enter the code, its really active for Internet Security Plus. Im just curious...its a legal code but no expire date..
What you're describing can happen if you have "Hide keycode on screen" checked in settings. To look and see if it's checked, open WSA and click on Advanced Settings in the upper-right. 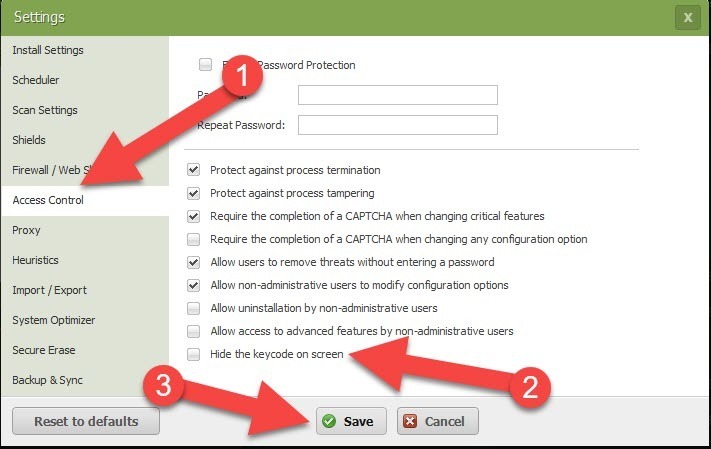 Then choose "Access Control" from choices on left. Then be sure "Hide keycode on screen" is unchecked. Be sure to hit "Save". If that doesn't help, then your console might be managed by a third-party and settings will need to be changed by them.